West Milton American Legion Post 487 members drape a decommissioned American flag over flames during its annual Flag Day ceremony. WEST MILTON — After the West Milton American Legion Post No. 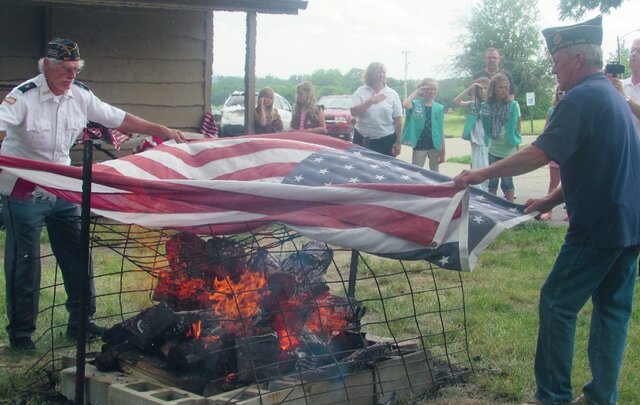 487 solemnly retired tattered and torn American flags, Commander Dennis Albaugh gave a short patriotic lesson for the youth attending the Flag Day ceremony on Sunday. After the ceremony, Albaugh took advantage of the teachable moment, asking many of the children in attendance what the American flag meant to them. “It brings honor to my heart and means pride in my country,” said Brownie member Alice Rush, 9, of West Milton. Boy Scout member Cody Lee Ramey, 12, of West Milton, said the American flag symbolized the sacrifice made by the U.S. military for daily freedom. Commander Albaugh again thanked both the crowd and the town’s Boy Scout, Girl Scout and Brownie troops for participating in the Flag Day ceremony. “A big thank you today to our Boy Scouts and Girl Scouts who go out in the community and gathered up many of these unserviceable flags and brought them down here for proper disposal,” Albaugh said. “I think it’s very important to teach our young children the proper way to respect our flag because if no one teaches them the right way when they are younger, I guarantee you someone will teach them the wrong way when they are older. Following the ceremony, the troops assisted the legion members in properly burning the American flags one by one, handing the flags to various legion members. Legion members Al Daum, Leroy Applegate, Bill Jay and Volk participated in the Flag Day ceremonial burning of the flags.  The legion is accepting new members in the area, Albaugh said. Also, bricks for the West Milton Veteran’s Memorial are available for $50 a piece to memorialize the community’s military service men and women. For more information, contact the American Legion Post No. 487 at 937-698-6062. West Milton’s American Legion Post 487 is located at 2334 S. Miami Street, West Milton.